The technology we use to secure our homes has been evolving for thousands of years, but never so quickly as right now. New technology has transformed the humble door lock into a Smart Home Security device that enhances security with secure keyless access, user identification and even automated control of other devices around your home. What’s its role in the Smart Home? 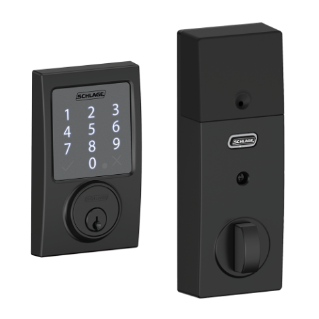 Smart access control lets you securely give access to family and trusted visitors, using unique four-digit codes. You can create a code for each of your kids, for your dog walker, or for a contractor who needs access to your house. In the contractor’s case, you can add an expiry date so that the code stops working after the job is complete. A smart lock can also trigger other devices in your home to act, saving you time and even money. When you lock up in the morning, your smart lock can trigger your security system to arm, your garage door to close, and your lights to turn off. It can even trigger your smart thermostat to set back, saving energy while you’re out.